On behalf of the Board, staff, women & children of Talitha Koum, thank you for your support of the 2019 gala. The Gala continues to evolve in its success in sustaining the ministry of women's recovery and family unification. In addition to your support, we also thank you and your team for all your help with assisting us in the purchase of our latest property. Leo Bruneau is a creative, energetic, kind-hearted individual. He has a big heart for his community by living locally, supporting local businesses and giving back to his community. He supports such ventures as local hockey teams, French Boy Scouts, Place Maillardville Community Centre, youth programming and much, much more. Leo is well in-tuned, committed and connected to his community. Ive had several transactions over the last few years with Leo and his Team that involved both residential and income properties. Each time, the processes were stress free and managed well. The front end staff took care of so many details and such a delight to deal with. Leo has a gift for marketing. My listings were well represented through top notch photography, great staging and fabulous exposure through his website and social media. I like real estate. I like to buy and sell. And Leo has always giving me sound, authentic advice based on his sound experience. It's nice to know that I'm working with someone who has an innate knowledge of real estate market. Thanks dude! Selling a house we built 57 years ago was a difficult decision but it was made so much easier by Team Leo providing answers for any questions, information, and assistance needed in any area. It was so much more than we expected1. In the purchase of a condo at conclusion of the sale I can only say what a comfortable, assured move it was, knowing I was in capable hands. All assistance needed was offered and information requested, given in a timely manner. Thank you Team Leo! Team Leo has helped us in both buying and selling a house and we have been incredibly happy with the support and service of all of their team members throughout these processes. In both situations they were always available to talk and help and especially were able to explain and decipher the specific nuances of the BC housing market to us. Their advice was always incredibly informative which helped us through two major events in our lives. What is especially commendable is the support we received from the team while selling our house after having already relocated to another province. In addition Team Leo is an astute supporter of various charities and without a doubt is a big giver back to all the local communities that they serve. 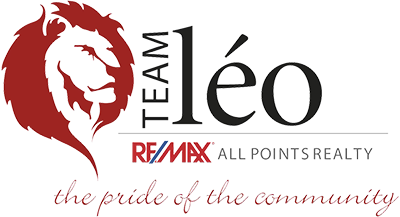 If you are planning on buying or selling a house we would highly recommend Team Leo as the go-to real estate agent to go-to. We bought our first condo with team Leo back in 2016! Without the knowledge and patience from Leo and Matt I’m not sure we would have been able to move forward. We really didn’t even know where to even begin. When I chose the Team I was very skeptical, based on my past experience with realtors. They were up front with their methods of helping sell my property, what I should expect, how the sales in that neighbourhood were doing, options to continue to have my property on the market if I did not get an acceptable offer close to what we discussed. They were respectful of the tenants during the selling period, with proper notification for showing the property. I was kept up to date with all the transactions during the sale, and given advise and information if I required it . They have been far superior to any other agency I have worked with. I had Team Leo (Leo himself), sell my Condo back in July 2016 - when I could not sell it myself. Leo had a professional 'Stager' come in, and made the place look so good that I wanted to buy the it myself! :) I was very impressed with the high level of professionalism of the entire team! My Condo sold within 2 days of being listed at the price I wanted! I heartily recommend Team Leo to everyone! This is my 5th purchase and 4th sale with Team Leo. The whole team goes above and beyond to get the information regarding different properties and make sure it gets to you quickly. They were honest with what my property would sell for and did not make empty promises. 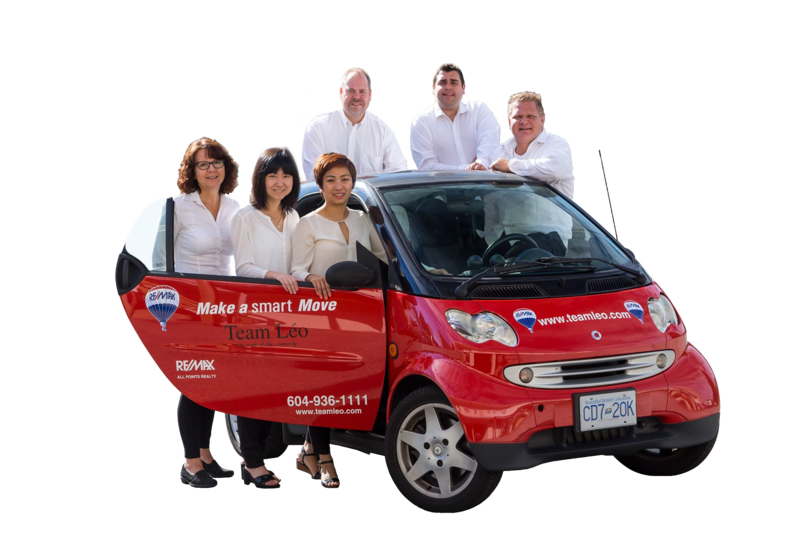 With the whole team working together it helped as I was looking for property in different areas of the lower mainland and each agent was able to give feed back on areas that I was not familiar with. The final property I bought took three months and three separate offers to make happen and the team kept positive and even encouraged me to not give up on the property. I have and will continue to recommend them. You will be well taken care of and enjoy the process of a large stressful decision with knowledgeable honest professionals. I was a licensed Realtor/Property Manager/Broker for approximately ten years in BC, and I have moved 27 times in 4 Provinces. My wife and I moved to Port Moody about 3 years ago; but decided we want to move back to the West End to be closer to our Grandkids and her work. After spending many hours researching local Realtors and interviewing a couple we picked Team Leo - RE/MAX All Points Realty on Sunday, and our condo will go on MLS tomorrow; but over the past couple of days we have already had a professional Photographer take great pictures and an awesome video; 3 of Leo's Team Members came over and toured our condo; another professional came and measured all the rooms and approximately 20 RE/MAX Realtors toured the property today. We have never received such amazing service in all our previous moves. We are very confident that our condo will be exposed to a maximum number of potential buyers and we have the utmost confidence in Team Leo. If you are considering 'listing' your home for sale I recommend that you meet with Leo and his Team. I would imagine you would receive the same level of amazing service if you are in the market to purchase real estate too. UPDATE: It took less than three weeks before the 'SOLD SIGN' appeared outside my building. Move #28 in two weeks, and we couldn't be more pleased!! I was extremely happy with the service I received from Ron Woollard. He was very helpful, knowledgeable, and made the process very easy. I would highly recommend Ron Woollard, and Team Leo to friends & family. Thank you Ron Woollard & Team Leo. 5 stars to this amazing man and Team Leo! What a good group of Realtors and human beings. They truly are fast, efficient, smart & professional. I have enjoyed the benefit of working with them and seeing them in action. It's refreshing to see. Thank you Leo for being who you are! Léo, Ron, Anh, Matt, Robin, and Nancy. Bought my very first condo with Team Leo’s help and would NEVER consider going anywhere else. I will ALWAYS recommend Team Leo first! Keep up the good work guys!! Team Leo is very professional knowledgeable and friendly. They get to know their clients so that they can fit you with what you are looking for. They know the market well. Team Leo goes above and beyond to help their clients. We would definitely recommend Team Leo to anyone thinking of buying or selling their home. They offered advice and always put us first. Leo took care of our family from the first meeting and still do to this day. I couldn’t have asked for better with Team Léo. As a first time buyer, for a family of six, I needed guidance. The agents at Team Léo went above and beyond and made me feel completely at ease and confident with my purchase. As first time home buyers we couldn't be happier with Ron’s help. He answered the many questions we had without hesitation and made us feel more at ease with the home buying process. On top of all that they found exactly the kind of home we were looking for in the area we like and did it faster than we could have hoped. I would recommend Ron and his team to my family and friends any time. Team Leo helped me and my family find the perfect home that met all of our needs. They were absolutely amazing to work with, we will work with the again for any future homes and we highly recommend them! Great Team, full of knowledgeable Agents and Administration Staff! !wWe have used this team a few times for our homes and always recommend them to family and friends!! They are easy to talk to and know their stuff! Give Tean Leo a try, you won’t regret it! Leo and his team found the ideal price point to get "interest" in the property. The team was instrumental in suggestions to improve both curb and staging of our home. The combined marketing, price point and professional open house grew upon the 'interest' and made for a very high number of walk-through of the property. The high 'buzz' and interest led to multiple offers. Our sale of our home exceeded our dreams in price and timing. Equally The team was able to help us investigate a variety of new area's. We found our dream residence. We were able to negotiate our new residence with certainty and felt that we had a reasonable price. I have used Leo to both buy and sell 2 of my homes and a investment property. We fully endorse Leo and his talented team for the buying and selling your home or rental property.